Last week I had a “flight” out of Queenstown, New Zealand. Here we have just started take-off roll. 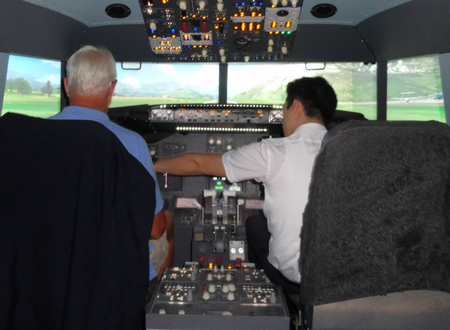 This is in a B737 flight simulator. It was lots of fun. I managed to take off AND land at Queenstown.